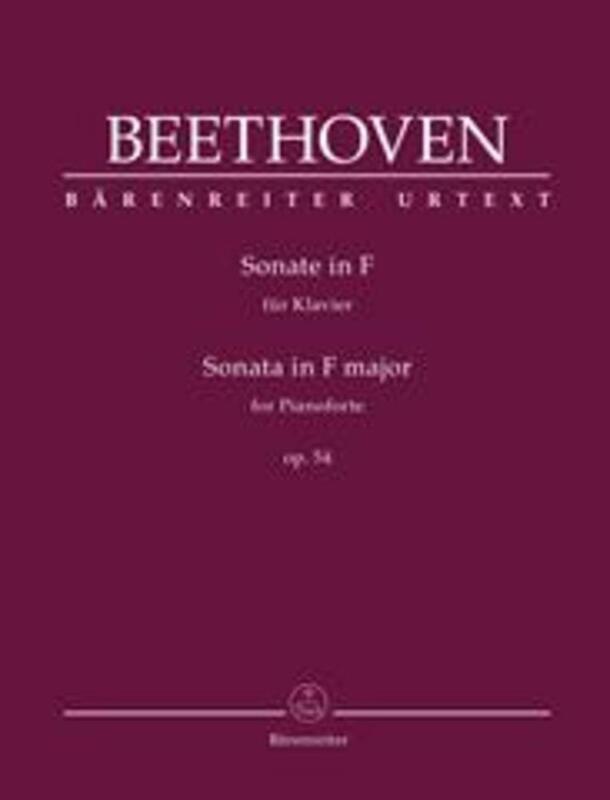 Beethoven’s Sonata in F major Op.54 was written in 1804, just after the highly virtuosic “Waldstein” Sonata and before the "Appassionata” Sonata, and has unjustly stood in the shadow of its predecessor and successor ever since. Its two movements are characterized by the friction between traditional form and creative abandon. While the opening movement marked “In Tempo d’un Menuetto” plays with Baroque gestures and a sharply contrasting, metrically distorted “Trio”, the toccata-like “Allegretto” fluctuates between etude and sonata form. 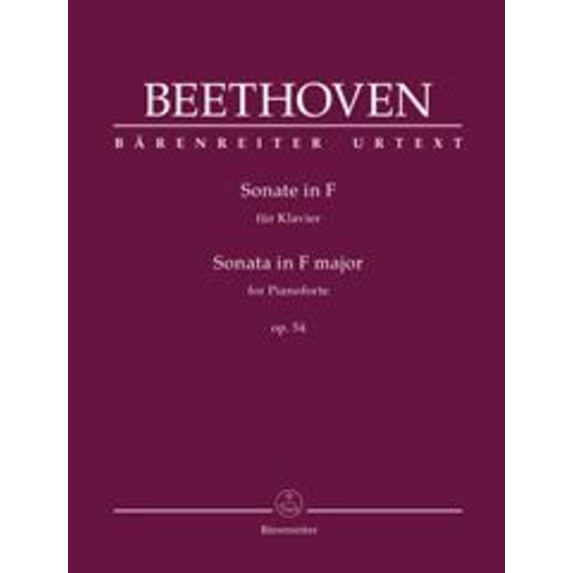 The unusual construction of the sonata caused perplexity even with notable critics who found themselves at a loss, unable to recognize the master. As such the work remains somewhat an insider tip until today, a treasure to be discovered. For his new Urtext edition the world-renowned Beethoven scholar Jonathan Del Mar has examined meticulously all available sources and presents a reliable musical text. The elegant layout and advantageous page turns further add to the quality of the edition which also includes a detailed Critical Commentary, an informative Preface, and indispensable information on performance practice (use of pedals, articulation, ornaments, dynamics, accents).